Good news for people considering buying Hualalai luxury real estate! 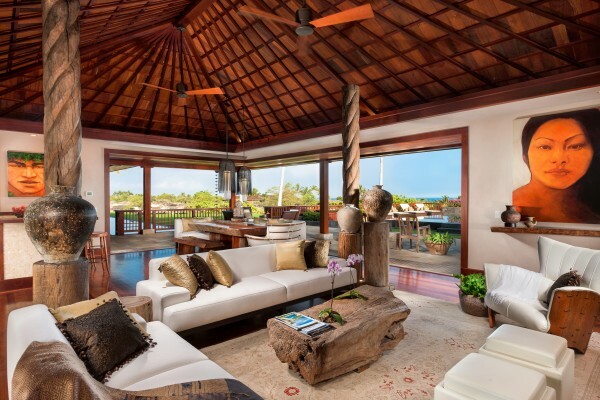 This exceptional Hualalai Resort estate was recently reduced in price by $3 million to $13.5 million. A truly spectacular Hualalai Resort property, it features 10,056 square feet of opulent living space on 1.3 acres with 5 bedrooms and 5.5 baths, and an office in the master wing (MLS# 250438). 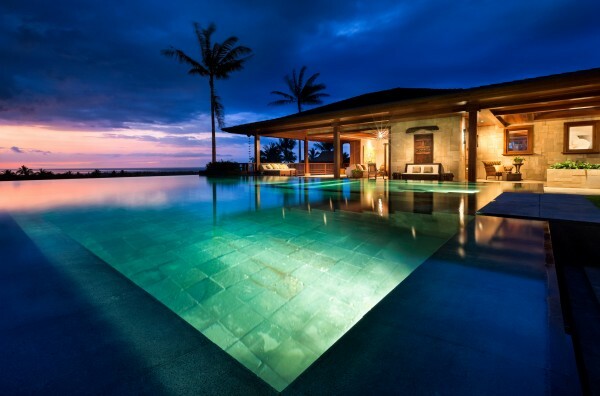 What Sets This Luxury Estate Apart From Other Hualalai Homes? Setting this private luxury estate apart from other Hualalai homes for sale is the carefully crafted indoor-outdoor living spaces, six ponds, and walkways featuring rare natural materials. Even the stone tiled salt-water infinity edge pool and integrated spa feels like part of the natural environment. 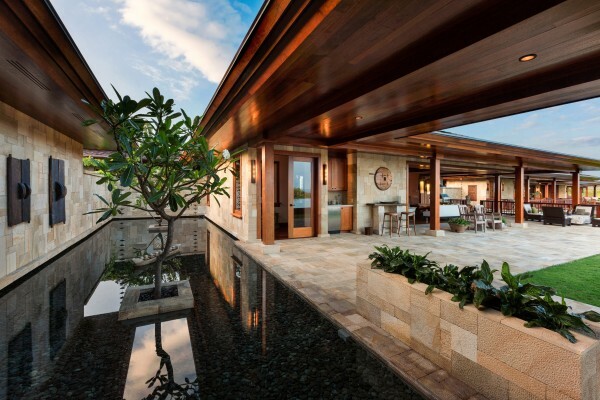 Light and airy living spaces are perfectly designed to capture the essence of living in Hawaii. Stunning ocean sunset views are available from nearly every living area of the house. The house is well suited for entertaining. In fact, world-renown French chef Jacques Torres was impressed with the kitchen and the rest of the house during a wine and chocolate party held at the property in connection with the Big Island Chocolate Festival. In addition, every bedroom in this house is a master — each designed as a secluded sanctuary unto itself. All bedrooms feature indoor/outdoor bathrooms with privacy walls. One of the many features that sets this extraordinary Hualalai home apart from other properties is its landscaping. More than 30 native Hawaiian and endangered plants were planted around the property. 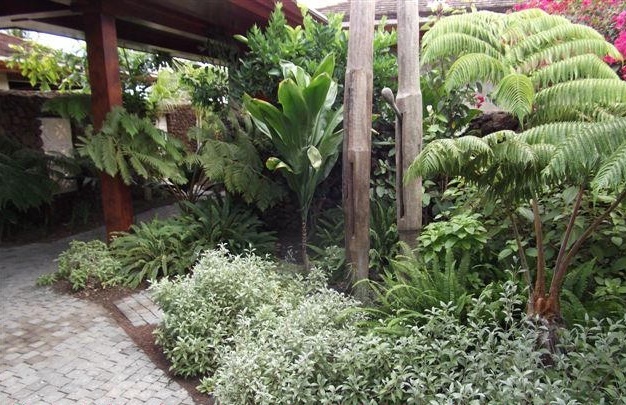 Several of the plants used in the landscaping were specifically chosen because they are Kumulipo plants, meaning they are mentioned in the Hawaiian creation chant. You can read in more detail about the importance of native plants in landscaping in my blog. The property, and the use of Kumulipo plants in its landscaping, will also be featured in the November/December issue of Ke Ola magazine. And on Tuesday, October 30, the property will be featured on HGTV’s Million Dollar Rooms. You can read my blog for behind the scenes details about the filming of the HGTV episode. If you, or someone you know is interested in this breathtaking property, give me a call today!